This is not a full listing of available accommodation. 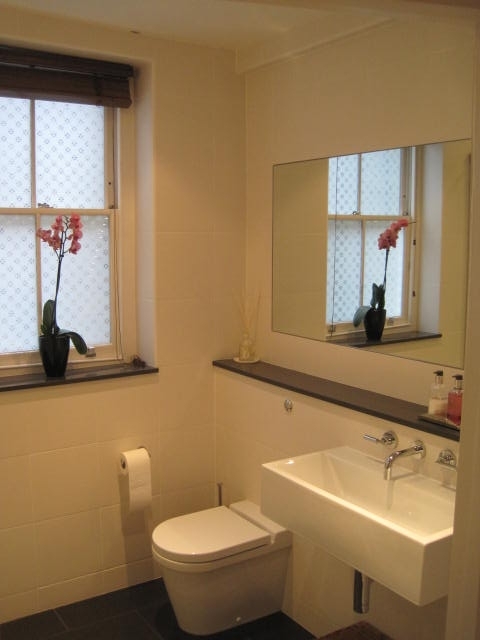 This house is located close to the centre of Southfields and the underground station. 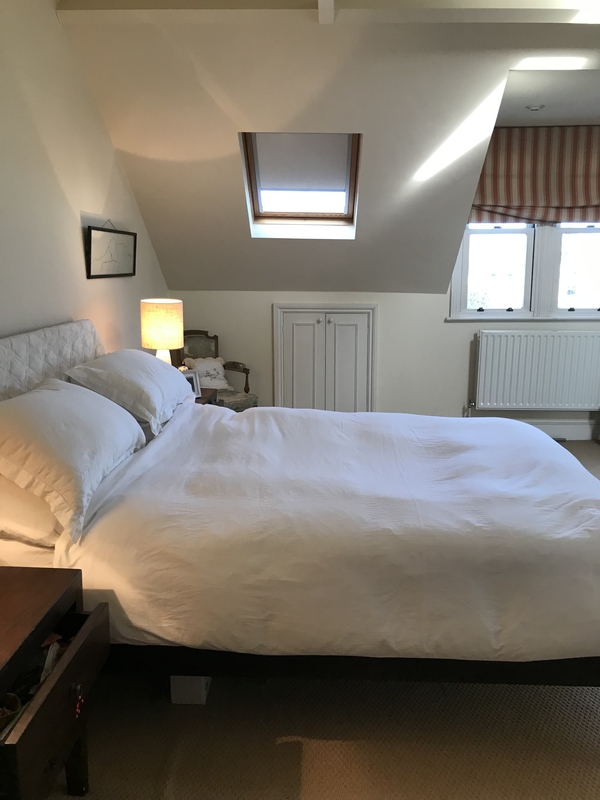 It is ideal for players/coaches at the Wimbledon Tennis Championships The host offers two double rooms on the top floor sharing a bathroom. This is separate from the rest of the house. 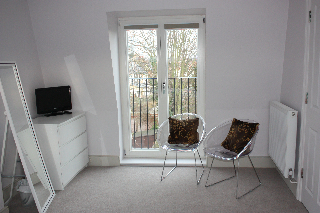 There is also a sitting room for the use of guests. 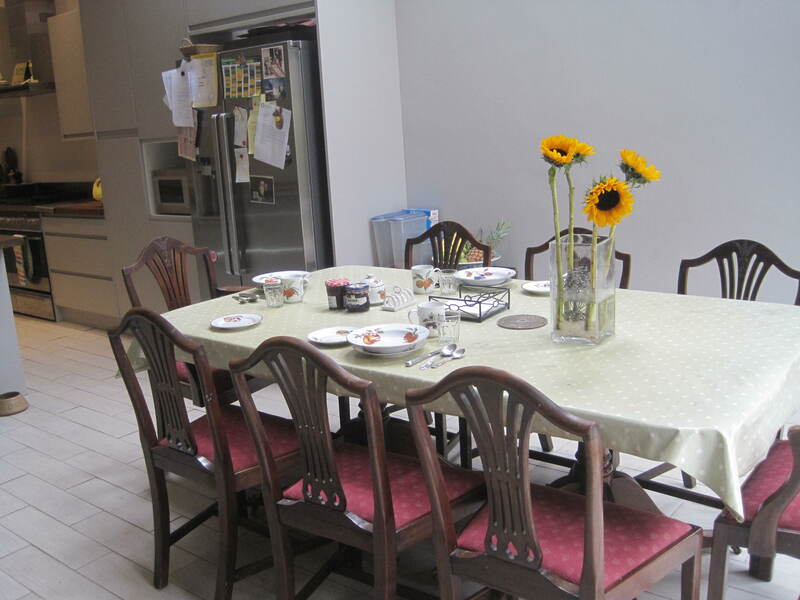 Breakfast is served in the kitchen/breakfast room overlooking the garden. 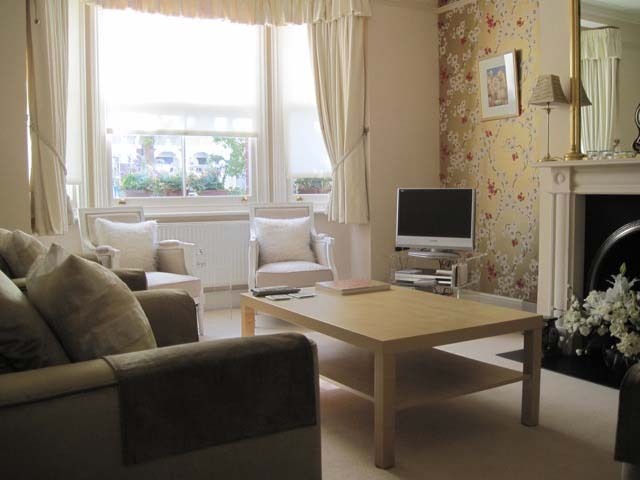 This house is located within 10 minutes walk of the All England Club. The house is set back from the road so it is a very quiet location. 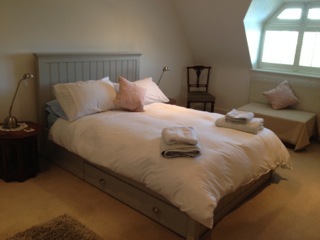 The host offers a kingsize double room with exclusive use of the shower room opposite the room. 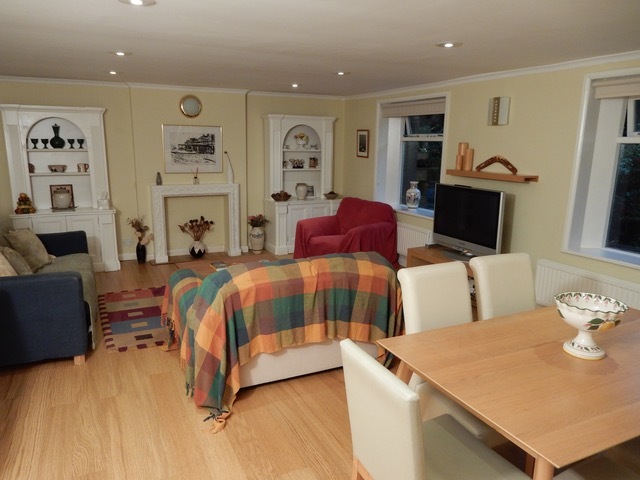 There is a sitting room with TV for guests to use. Breakfast is served in the kitchen/breakfast room overlooking the garden. 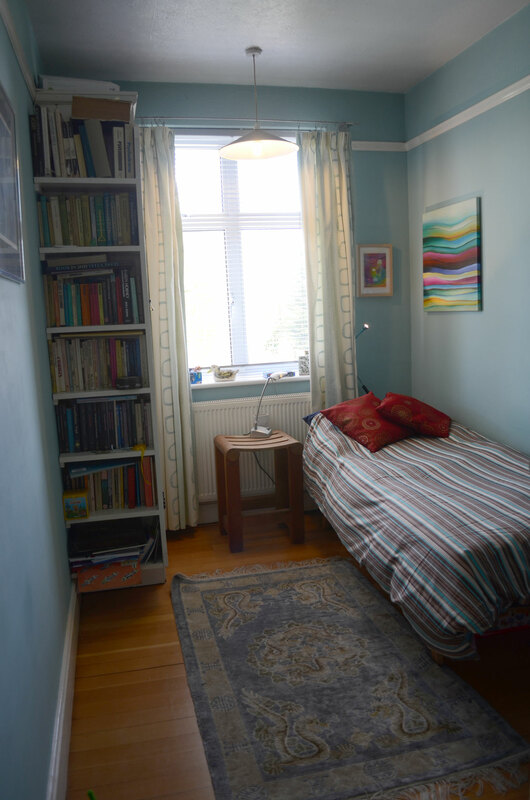 This house is located within 10 minutes walk of Southfields underground station and 20 minutes walk from the All England Club. 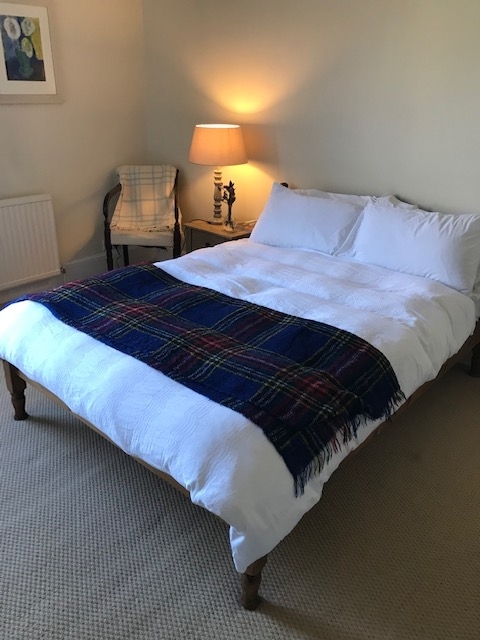 The host offers a kingsize double room and two single rooms and there is a shower room and bathroom for use of the guests. 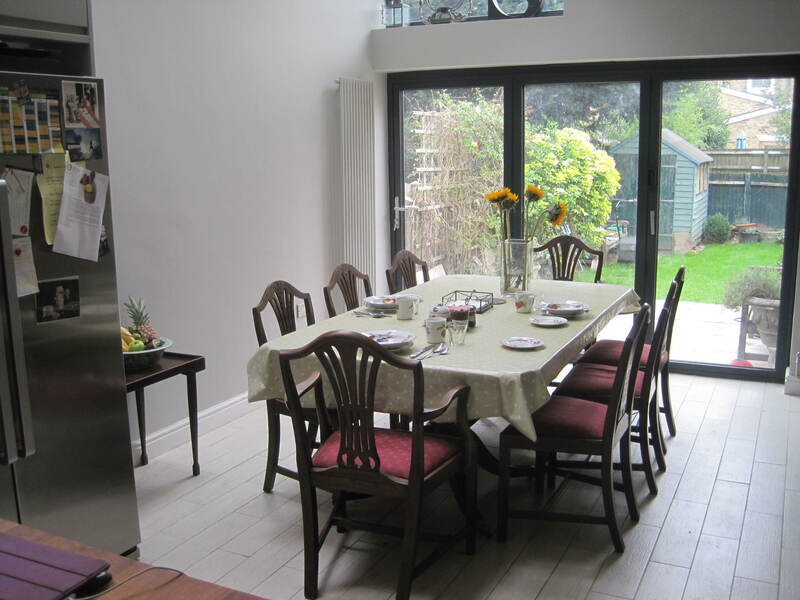 Breakfast is served in a large kitchen/breakfast room overlooking the garden. 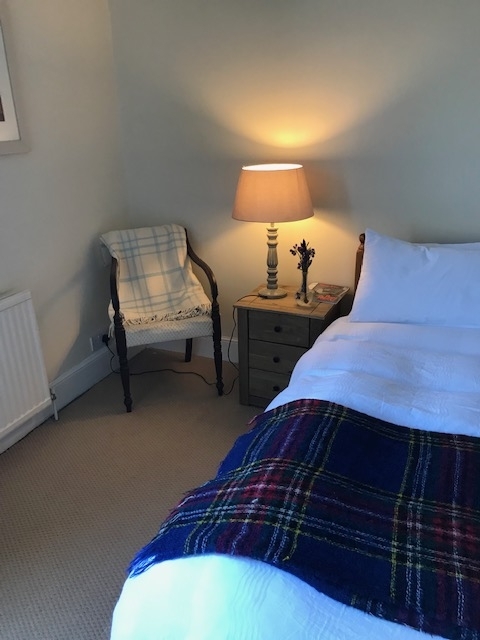 Located within 10 minutes walk of Southfields underground this house is ideal for guests visiting the tennis or sight seeing or for people working at the Championships. 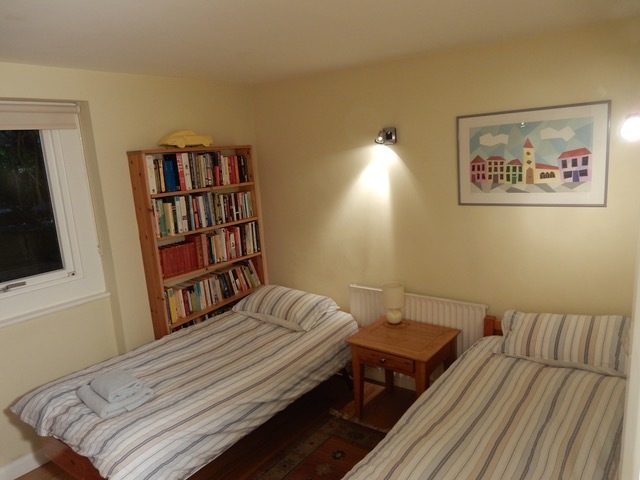 The host offers a variety of accommodation including a twin, a double and a single room. 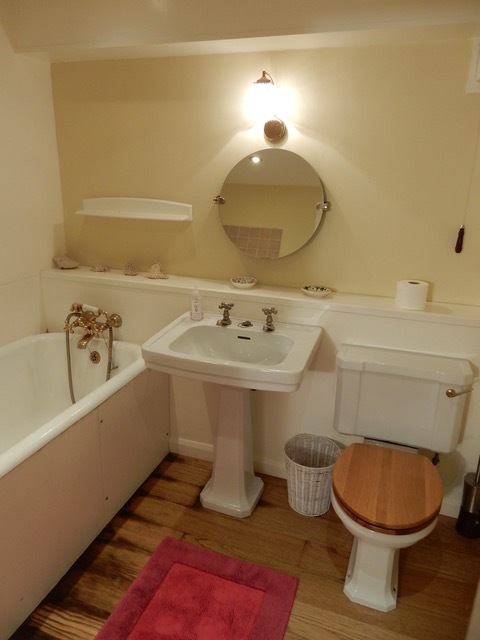 The rooms share one bathroom with shower over the bath so this is suitable for family bookings for two people using two rooms. 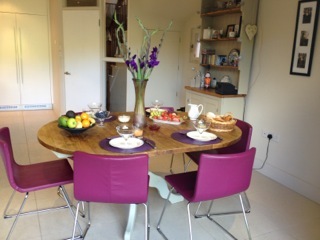 Breakfast is served in a lovely bright breakfast room overlooking the garden. 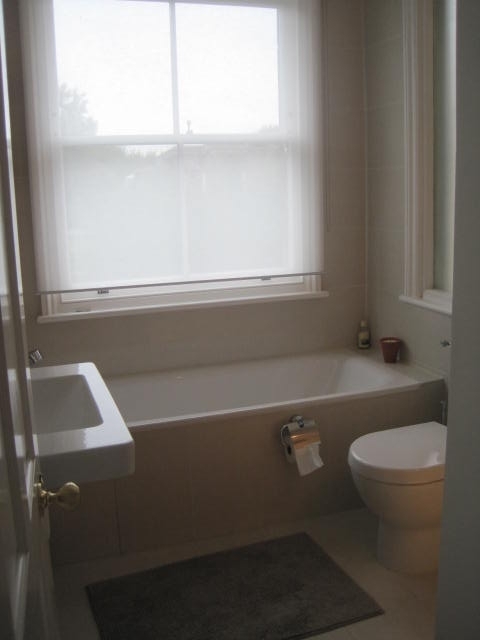 This house is located in a quiet road opposite a field between Southfields and East Putney stations. 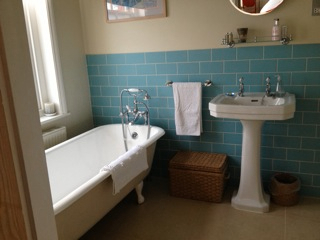 The host offers a double and a single room and there are two bathrooms available to guests, (not ensuite). 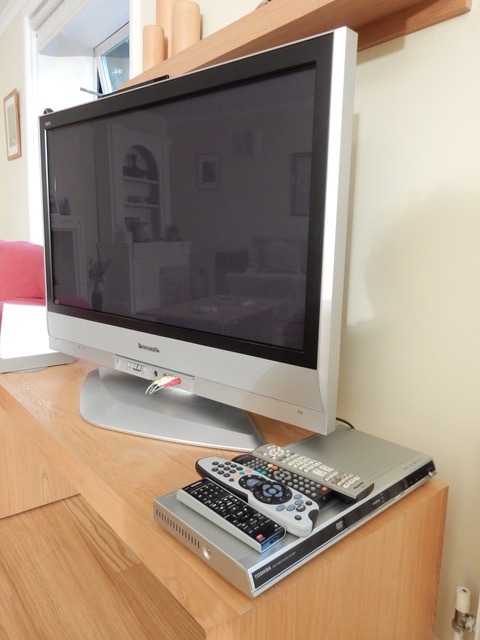 Both rooms have a TV and kettle. A good continental breakfast is served in the kitchen/dining room. Parking is available with the use of visitors permits for a small charge. 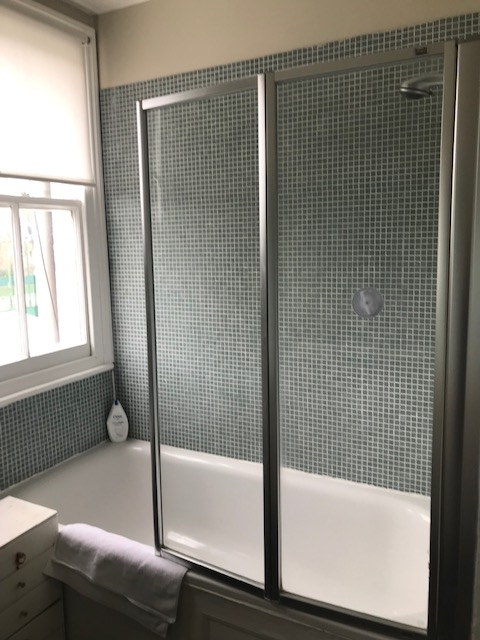 Located very close to the entrance to Wimbledon Park this house is ideal for guests wanting to join the queue or people working at the tennis. 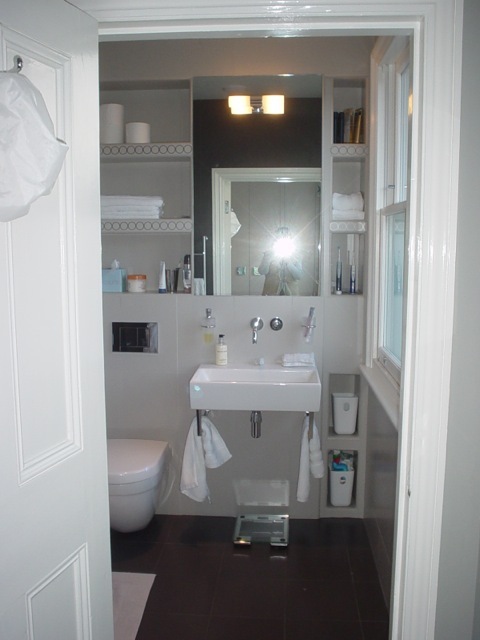 The host offers a twin or double room with bathroom next to the room. 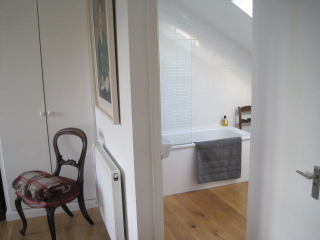 There is a second shower room on the floor above. Breakfast is served in a large breakfast room overlooking the garden. 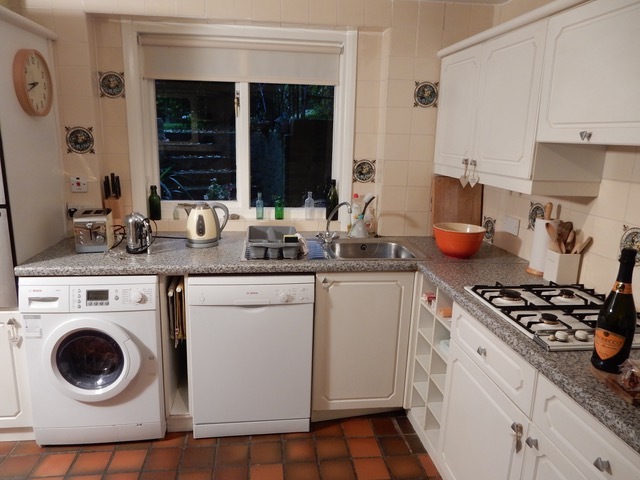 This house is located in the area between Southfields and Wimbledon Park within 10 minutes walk of either underground station. 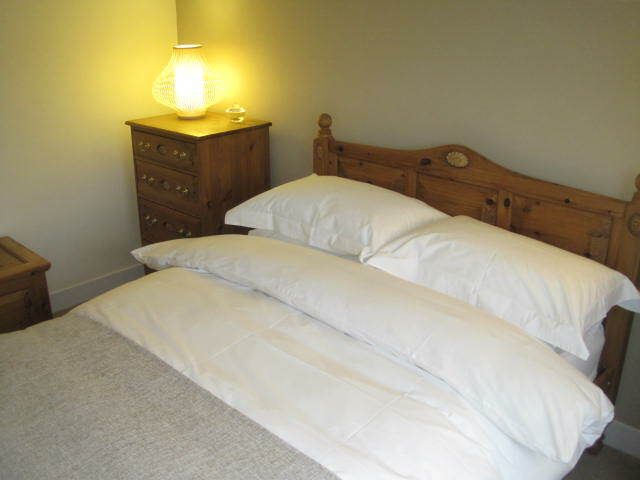 The host offers a standard double room with own use of bathroom. 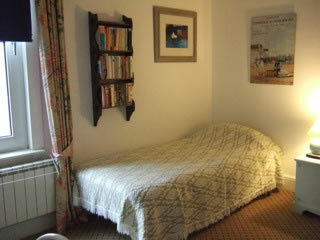 There is an additional single or twin room available for a group booking and both rooms share the bathroom. Breakfast is served in the kitchen overlooking a very secluded garden and if the weather is fine it is perfect for al fresco breakfasts. 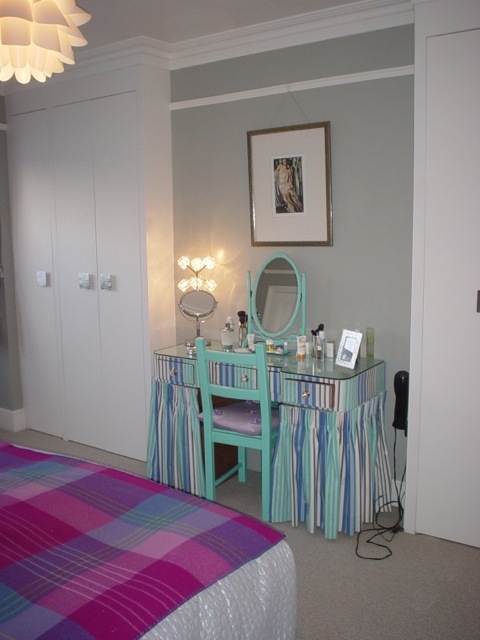 This house is located in the popular grid area of Southfields. 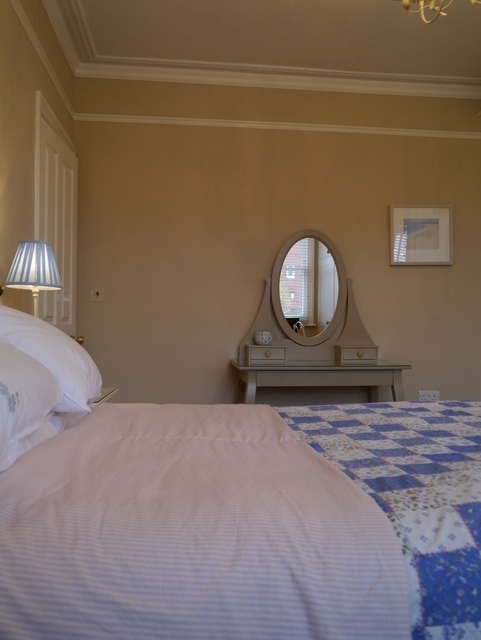 The host offers a double room with bathroom next to the room for exclusive use. 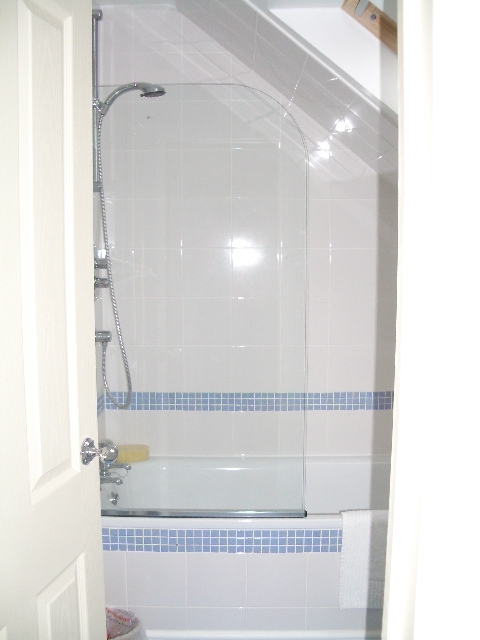 There is a roll top bath and separate shower. The room is bright and light having windows at both sides of the room but with blackout blinds. Breakfast is served in the kitchen overlooking the garden. One cat lives at this house. 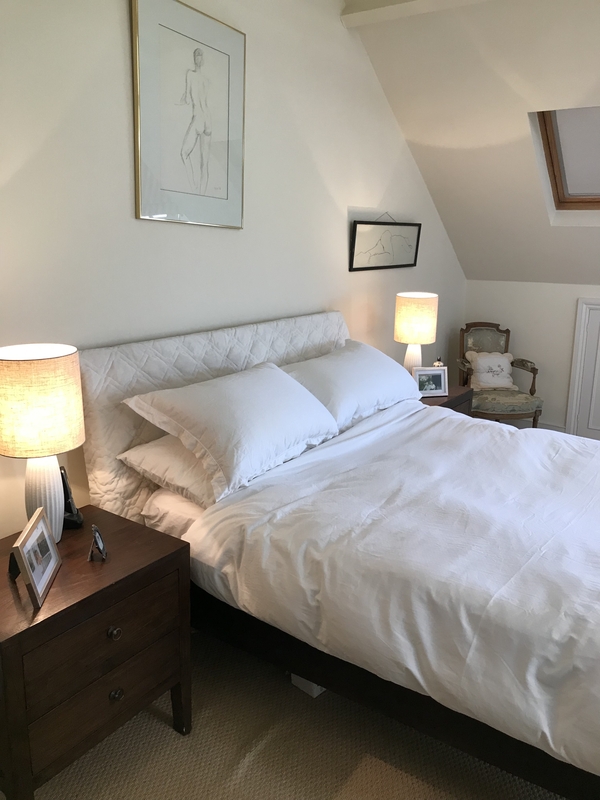 Located within 10 minutes walk of Southfields underground station this house is perfect for visitors to the tennis as well as to Central London. 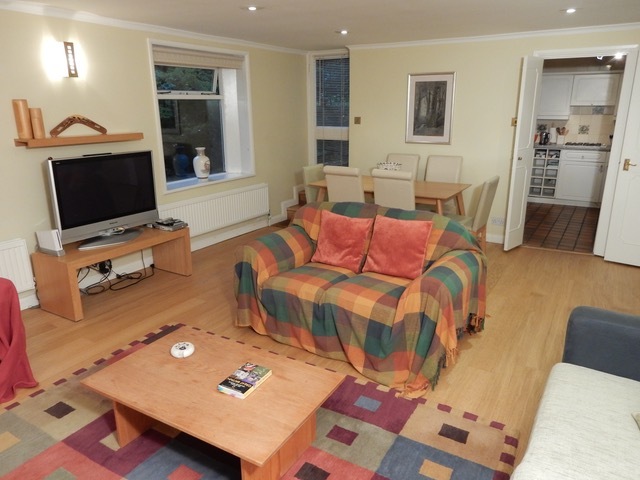 The host offers a self contained garden apartment with separate entrance. 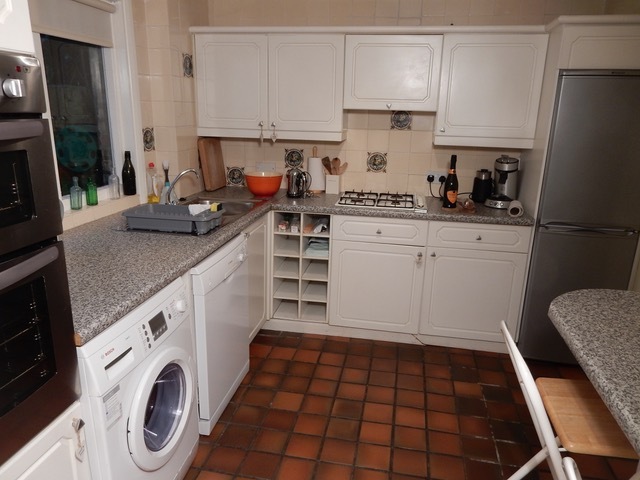 The kitchen is fully equipped with washing machine, dishwasher, fridge, microwave and cooker. 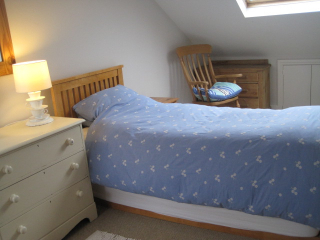 Upstairs there is an L shaped bed sitting room with single or double bed, sofa and TV. 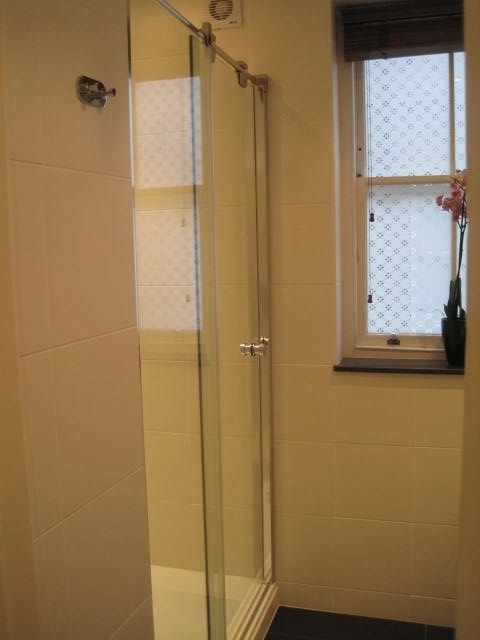 There is also a shower room. 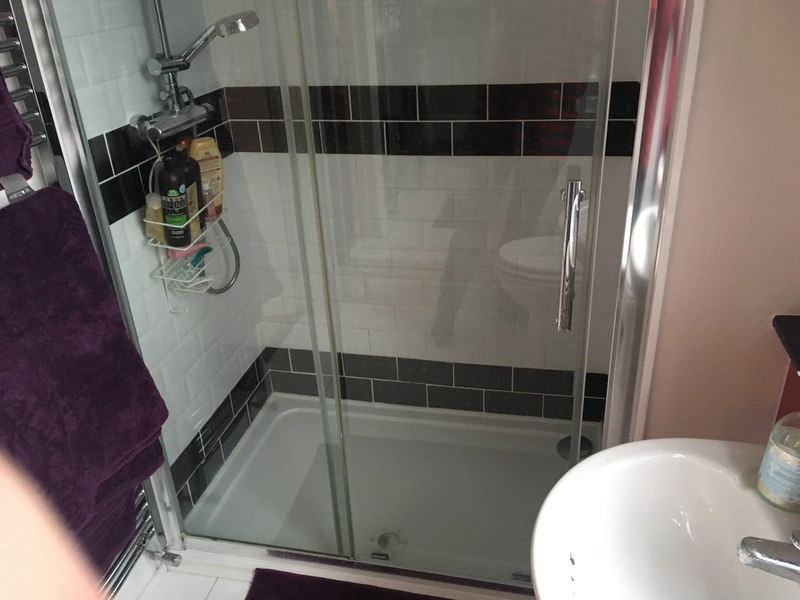 This has been recently built and is very modern and clean. 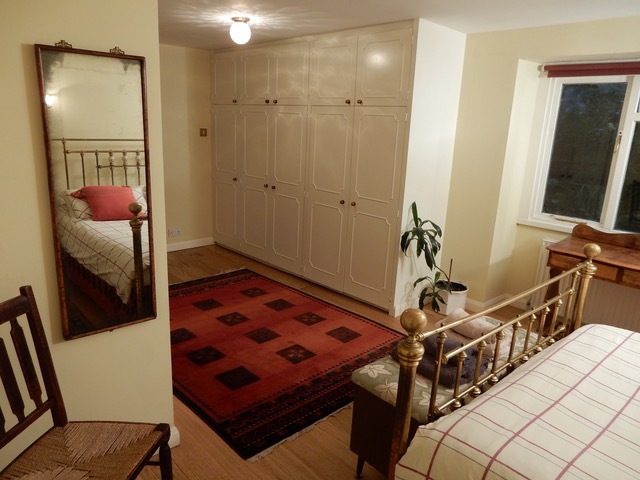 This beautifully decorated house is located in one of the popular roads in between Southfields underground station and the All England Club. 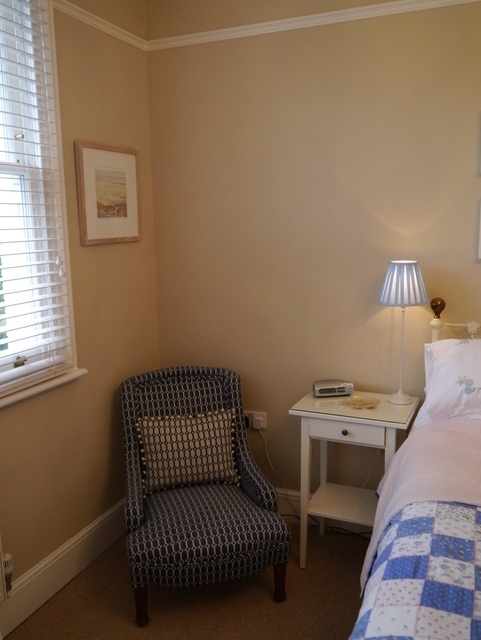 It is very convenient for guests of the tennis and it is ideally located for all the lovely restaurants and cafes in Southfields. 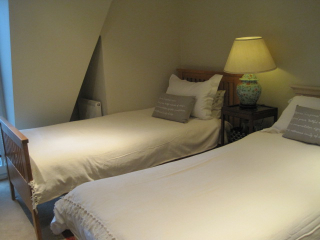 The host offers a kingsize double room on the first floor with own use of shower room next to the room. On the second floor there is a standard double with own use of bathroom (no shower). This house is ideal for two couples coming to enjoy the tennis. A good continental breakfast is served in the dining room. 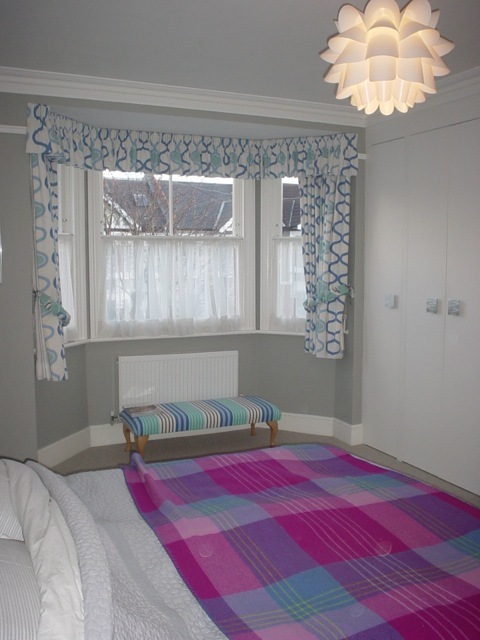 This house is located very close to Southfields underground station and about 15 minutes walk from the AELTC. 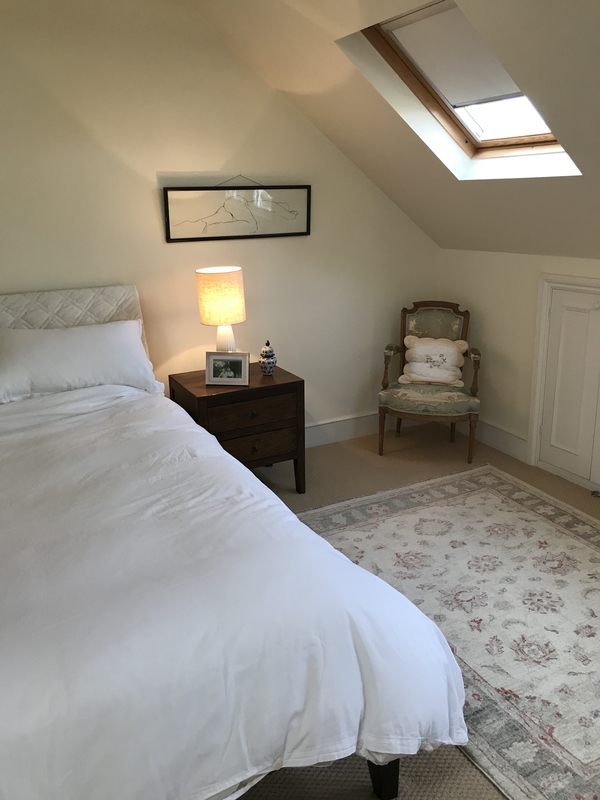 It is very convenient for guests of the tennis and it is ideally located for all the lovely restaurants and cafes in Southfields. 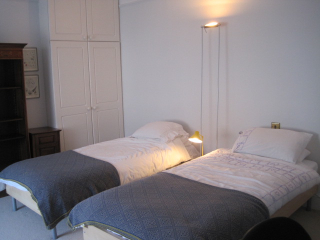 The host offers a selection of rooms. 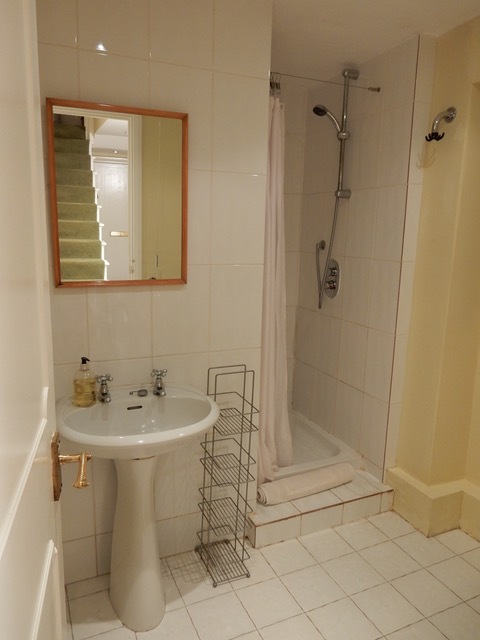 On the first floor there is a single and a standard double sharing a bathroom with bath tub and shower. 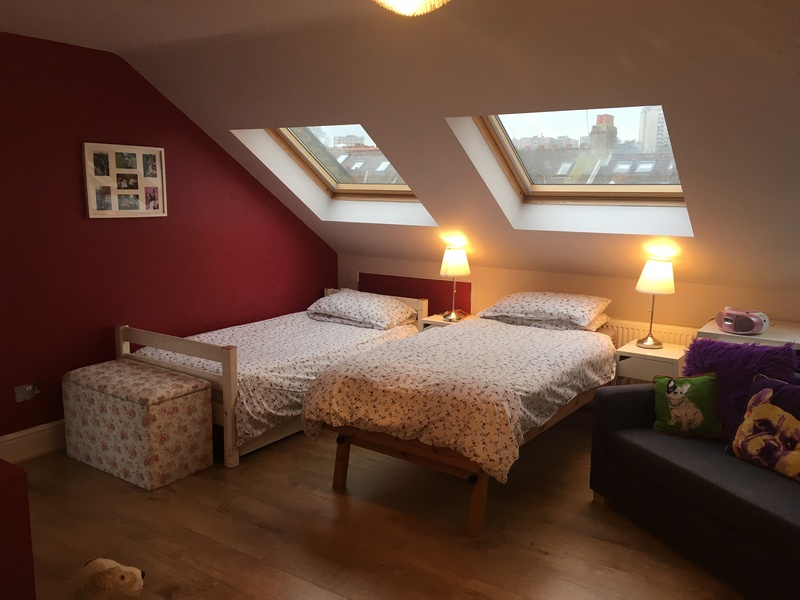 On the second floor there are two rooms, one with a standard double and the other with a single bed, both rooms more suited to single bookings. 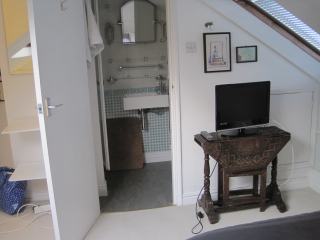 The two rooms share the shower room on that floor. A good continental breakfast is served in the large kitchen. The hosts have a labradoodle dog. 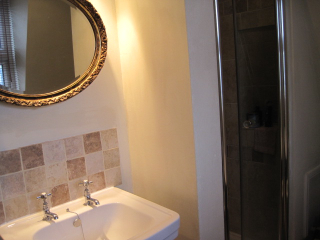 This house is located very close to Southfields underground station and about 10-15 minutes walk from the AELTC. 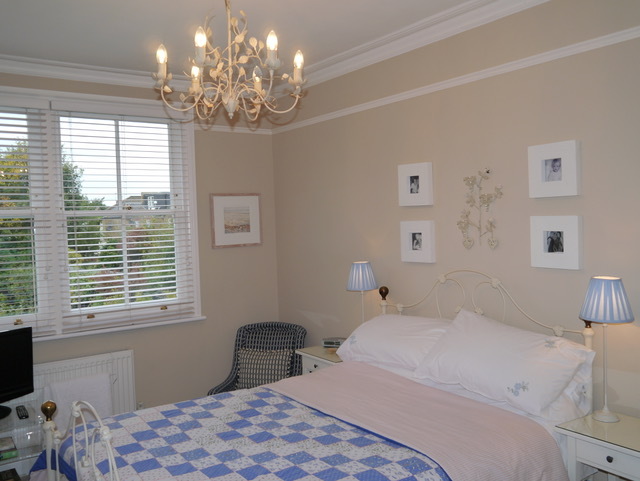 It is very convenient for guests of the tennis and it is ideally located for all the lovely restaurants and cafes in Southfields. 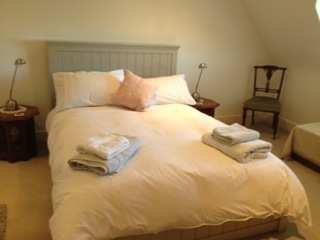 The host offers a king-size double room with own use of shower room next to the room at the top of the house. It has a lovely view over the back garden. 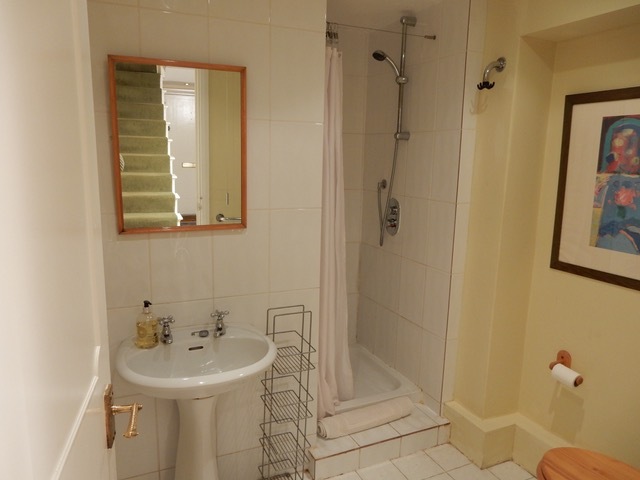 On the same floor there is a king-size double or twin with ensuite shower room. A good continental breakfast is served in the large kitchen or on the terrace. 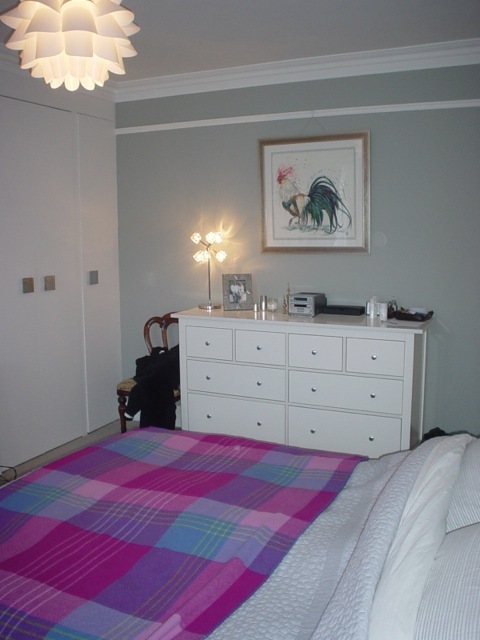 This house is located within 10 minutes walk of the underground station and 15-20 minutes from the AELTC. 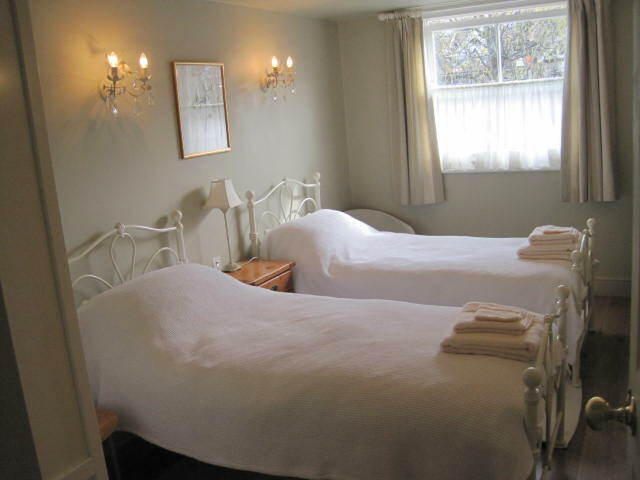 The host offers a double and a twin room with bathroom between them. Breakfast is served in the kitchen breakfast room. One friendly dog lives at this house. 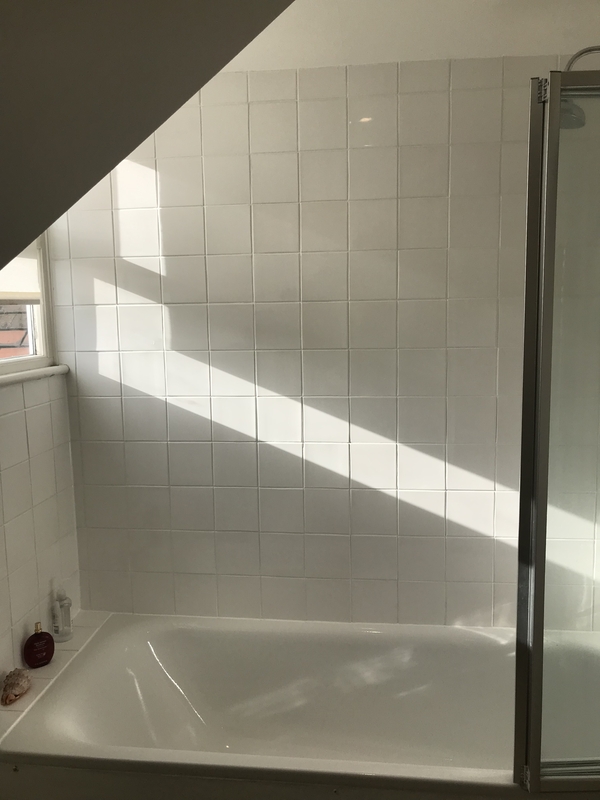 This house is located in the popular “Grid” are of Southfields within 15 minutes walk of the All England Club and also very close to the shops and restaurants. 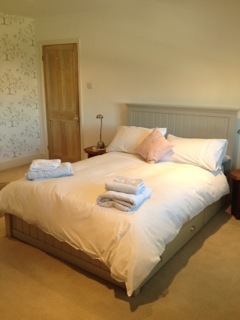 The host offers a kingsize double room with ensuite bathroom. 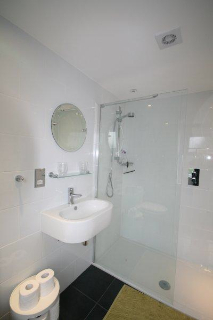 There is also a single room with bathroom next to the room. Breakfast is served in the breakfast room overlooking the garden. One friendly dog lives at this house. 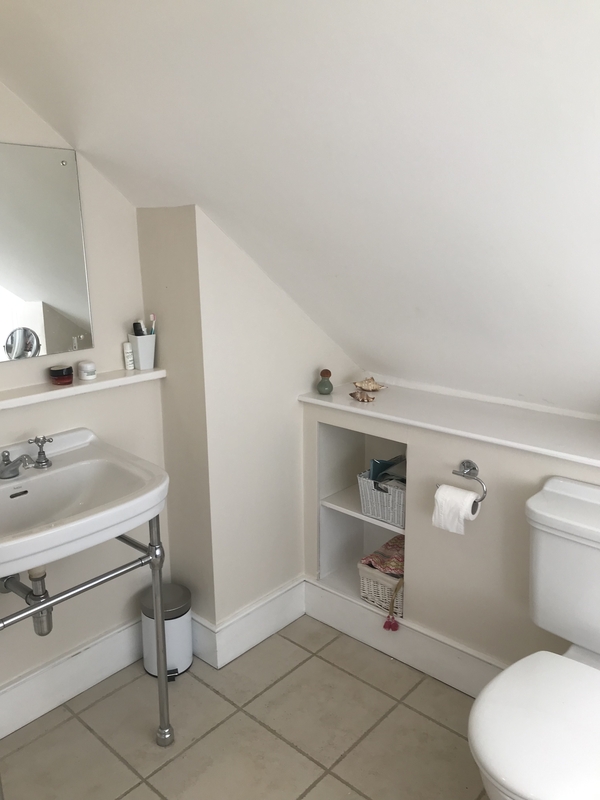 This house is located on the Southfields side of the tennis but within 10 minutes walk of the All England Club and also very close to the shops and restaurants. 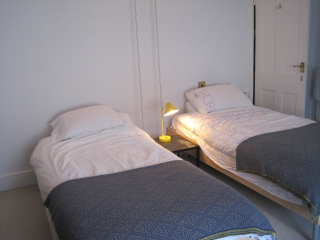 The host offers a twin and two single rooms. 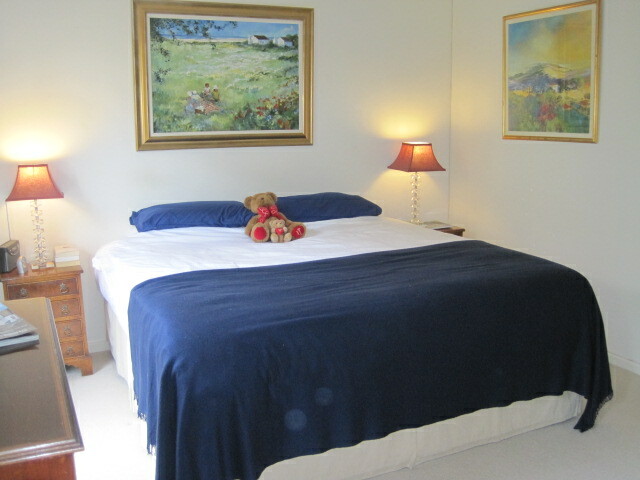 There is also an additional single room available if required. One friendly dog lives at this house. 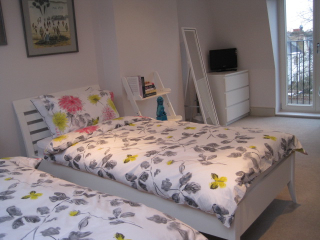 Located within 5 minutes walk of Southfields underground station this house is ideal for guests to the tennis. 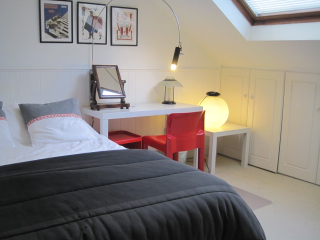 The host offers a lovely bright and sunny double room at the top of the house with ensuite bathroom and Juliette balcony. Breakfast is served in the large kitchen breakfast room overlooking the garden. 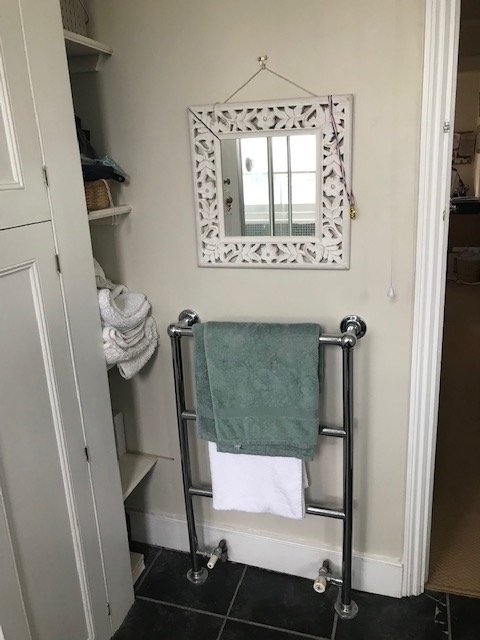 This house is in the popular grid area 10 minutes walk of Southfields underground station and 20 minutes from the All England Lawn Tennis Club. 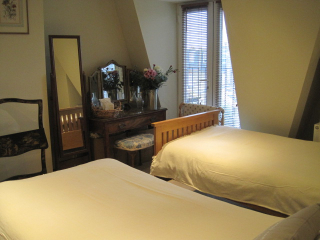 The host offers a king-size double room with ensuite shower room and Juliette balcony. 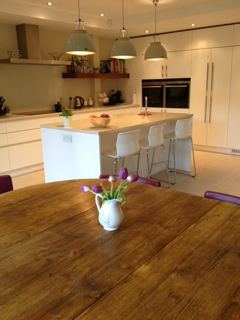 Breakfast is served in the kitchen/breakfast room overlooking the garden. 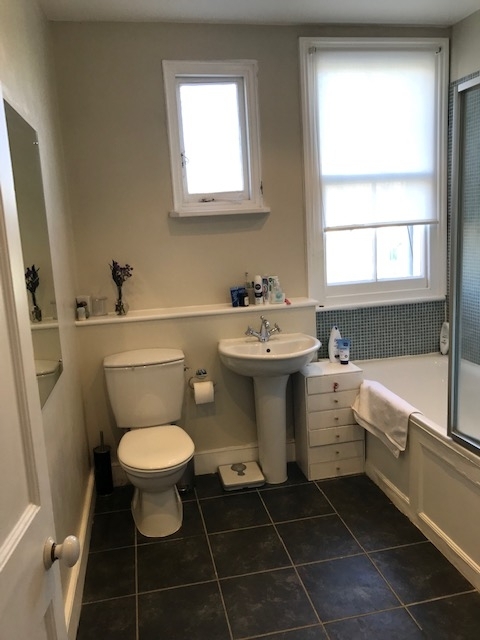 This house is in the popular grid area 10 minutes walk of Southfields underground station and 20 minutes from the All England Lawn Tennis Club. 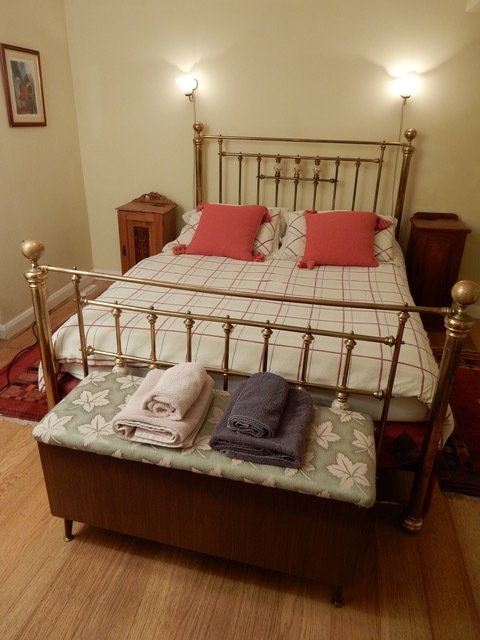 The host offers a standard double room with ensuite shower room more suited for one person. Breakfast is served in the large open breakfast room overlooking the garden. 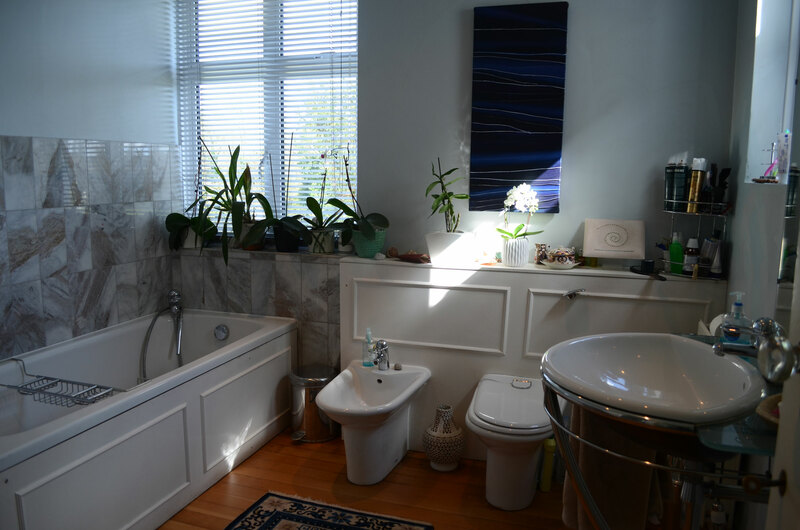 This house is located within 10 minutes walk of Southfields underground station and 20 minutes from the All England Lawn Tennis Club. 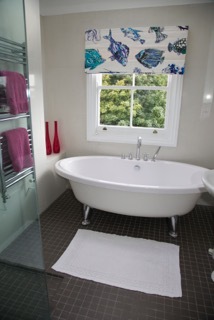 The host offers a twin room with ensuite shower room at the top of the house. Breakfast is served in the large open breakfast room overlooking the garden. 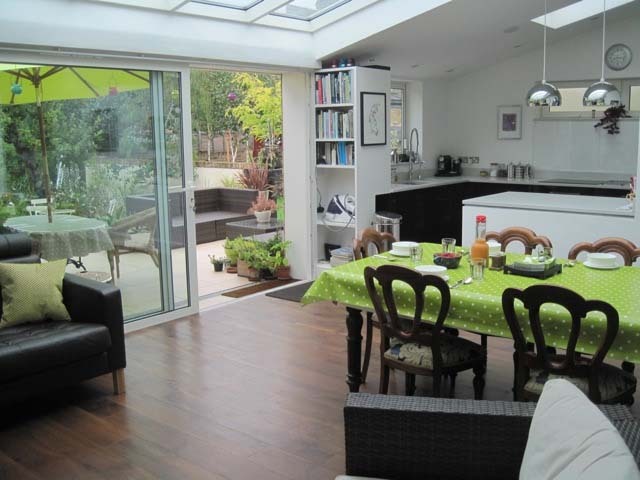 This house is located between East Putney and Southfields underground stations. 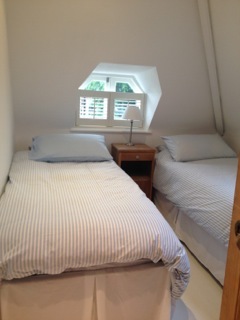 The host offers one double room and one small twin room at the top of the house. 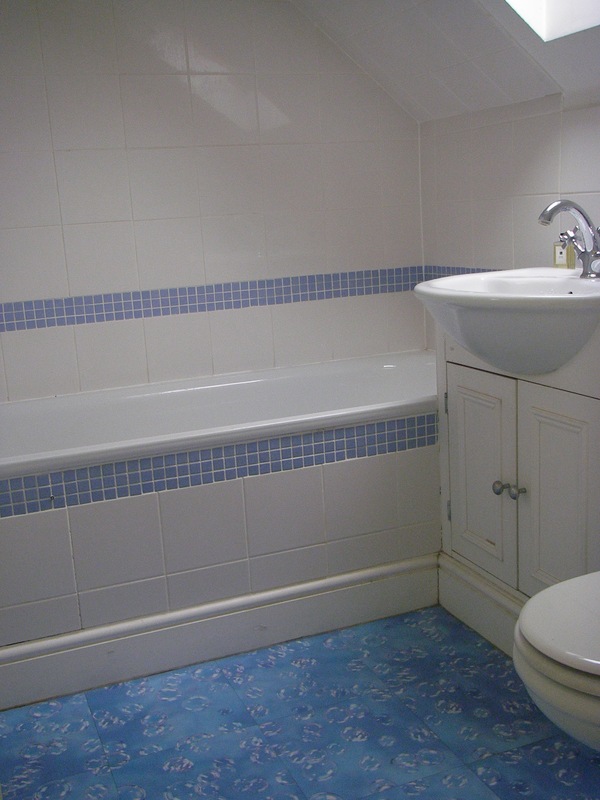 The two rooms share one bathroom so this is more suitable for a group, either family or friends. Breakfast is served in the breakfast room.The garden backs on to the local tennis club. There is a family cat living in this house. 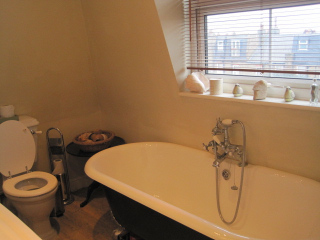 This house is located very close to Southfields and all the restaurants and cafes as well as the underground station. It is very convenient for visitors to the Wimbledon Tennis Championships at the AELTC. 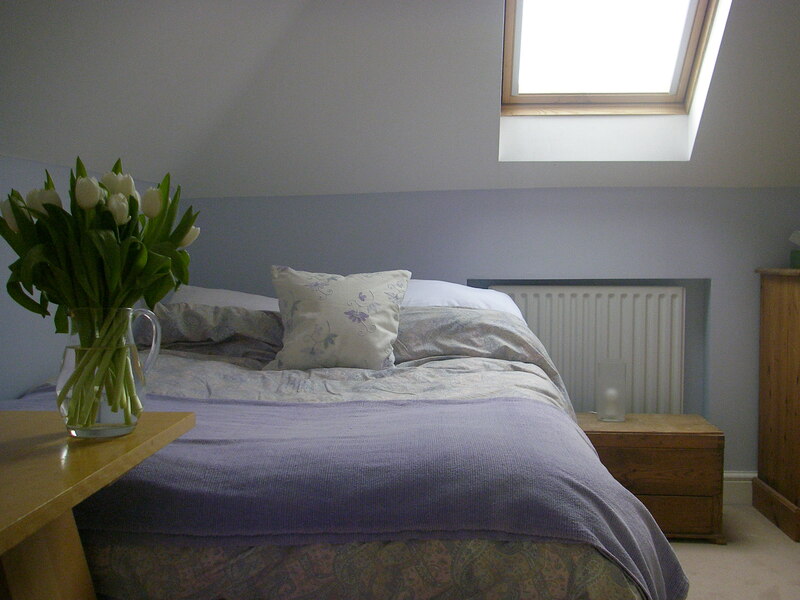 The host offers a double room with own use of bathroom and jacuzzi. 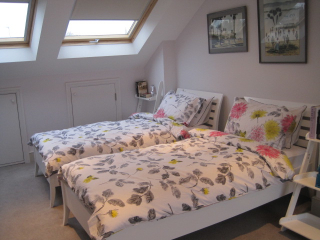 There are two additional rooms with double beds sharing one bathroom on the top floor. 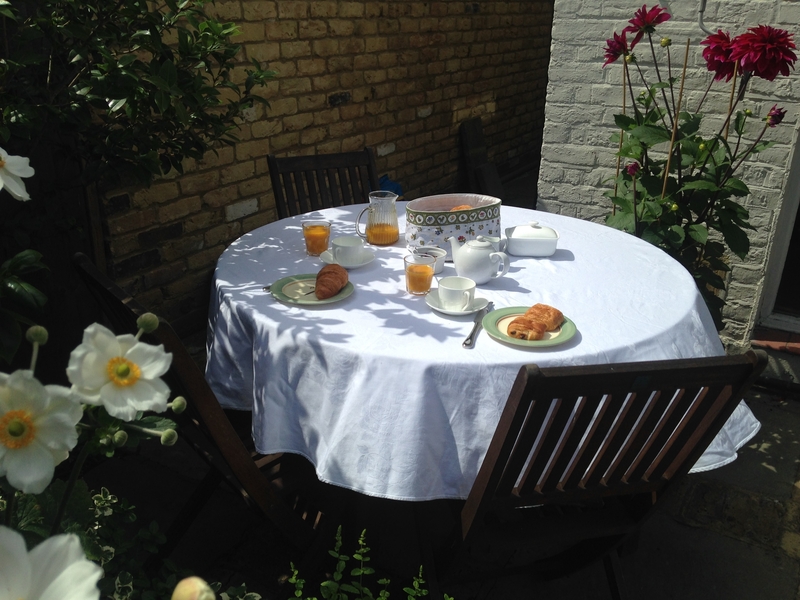 A good continental breakfast is served in the large kitchen or on the terrace if the weather is good. The garden is particularly attractive. This house is ideally located for guests who want to join the queue for Wimbledon tickets as it is less than 5 minutes walk away. 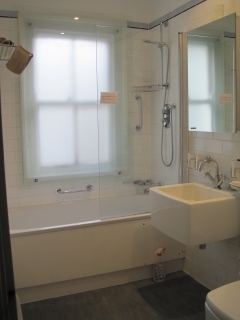 The host offers a twin room with exclusive use of bathroom. Breakfast is served in the kitchen/breakfast room. 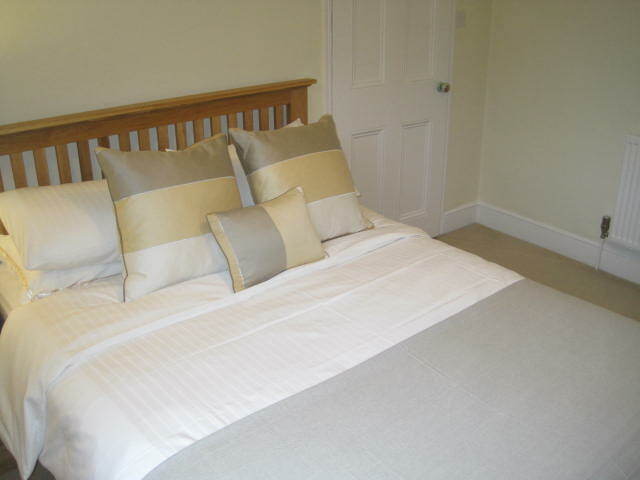 Located just a short walk from Southfields station this house is ideal for guests who are attending Wimbledon Tennis. 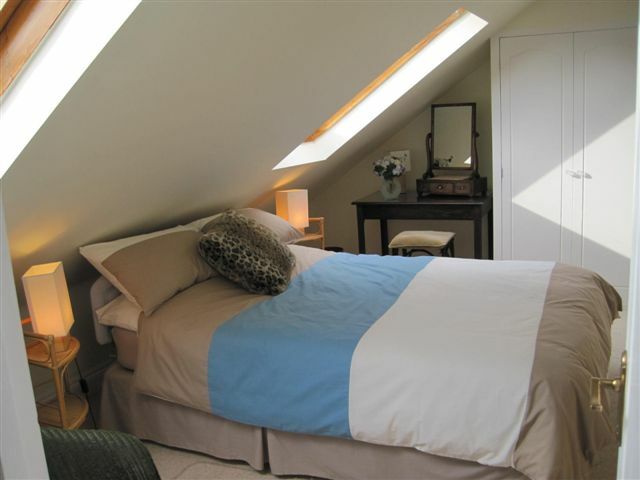 The host offers a lovely modern standard double room with ensuite bathroom. Breakfast is served in the kitchen/breakfast room. Located just a short walk from Wimbledon Park this house is ideally situated for guests or people working at Wimbledon Tennis. Being close to the underground both at Southfields and Wimbledon Park it is also good for people working in London. 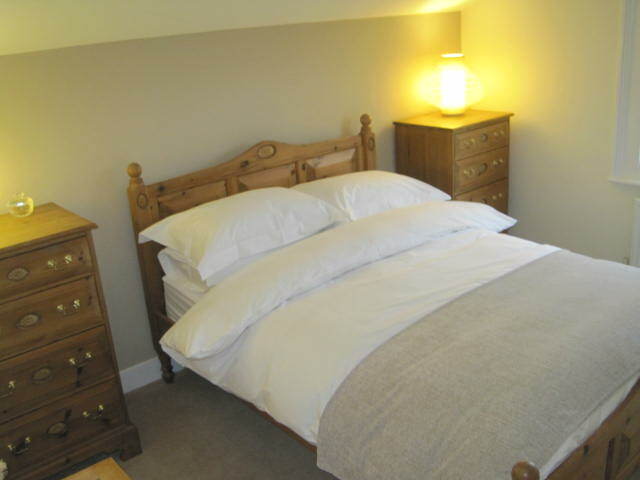 The host offers a kingsize double room with bathroom next to the room. 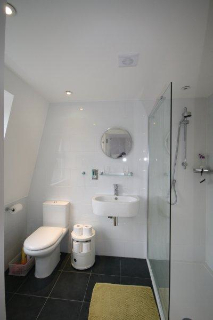 There is also a single room on the top floor which shares the bathroom. Breakfast is served in the kitchen/breakfast room. There is a TV in this room for guests to use. 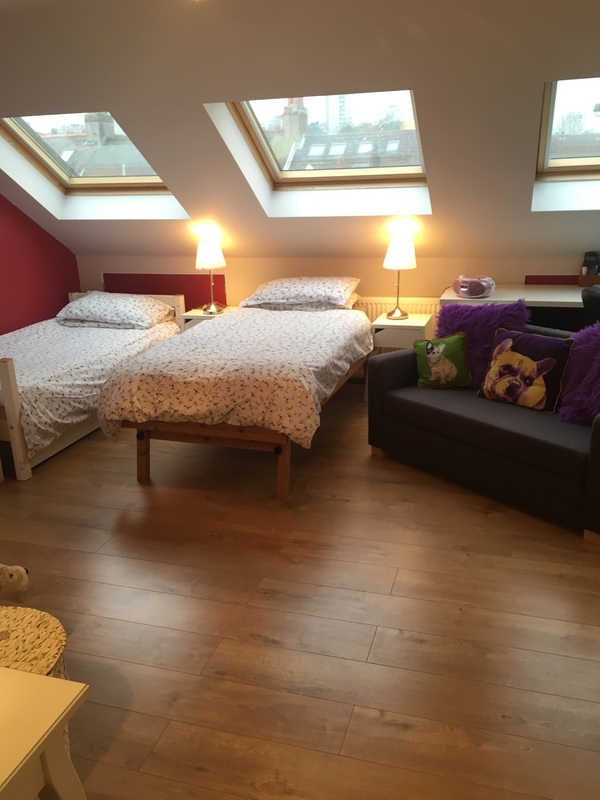 The host offers accommodation throughout the year. 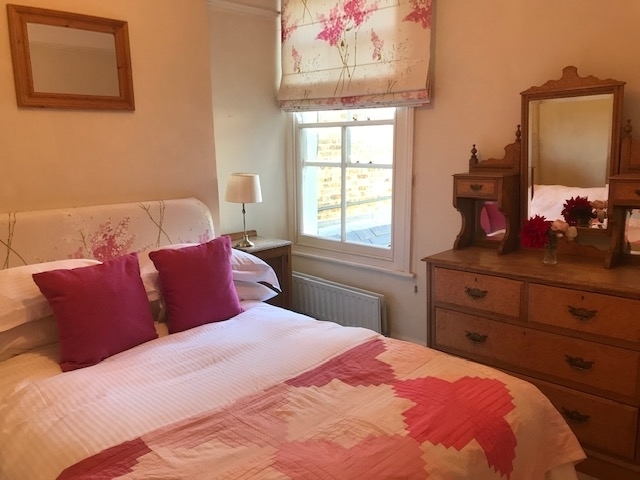 Located within 10 minutes walk of the All England Club and 5 minutes from Southfields underground this property is ideally situated for the tennis and for visits to London throughout the year. There is one double, one twin and one single room. The host is a brilliant cook and serves a delicious continental breakfast. The family have two cats. 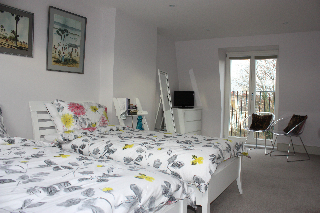 This house is about 5 minutes walk from Southfields underground station. 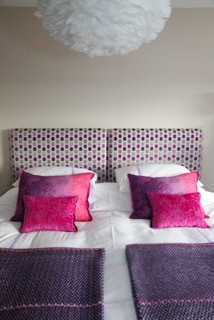 The house has been beautifully designed to give maximum space and a relaxed atmosphere for guests. 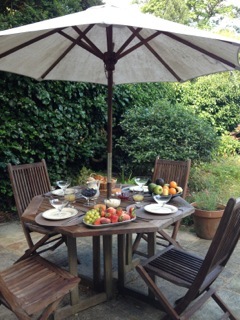 The host is a garden designer so breakfast is served overlooking a beautiful garden. The host offers a twin room with own use of bathroom and shower next to the room, and a double room with ensuite bathroom and power shower. There is also a separate sitting room for guests. Breakfast is served in a large kitchen/breakfast room. Two cats live at this home. 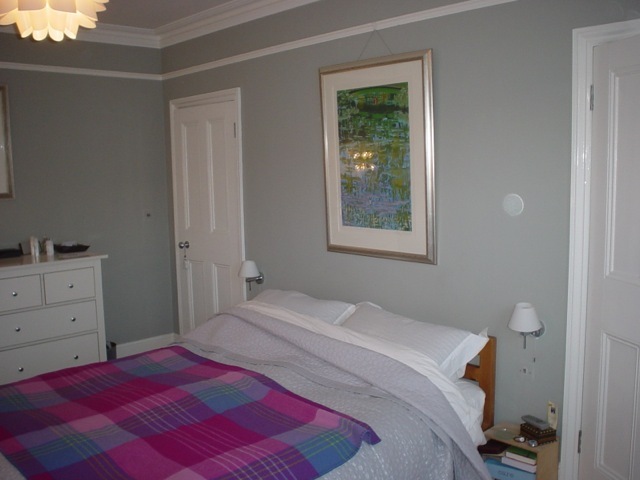 A spacious and well designed self contained studio apartment with separate entrance in the garden of the main house. The studio is suitable for one or two people. 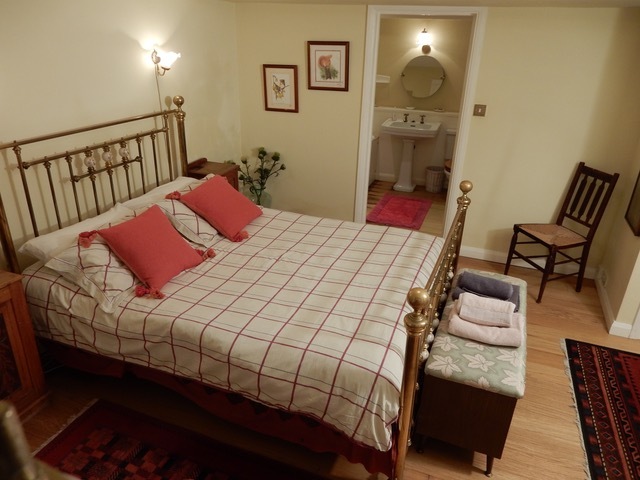 It has a double bed, wet room bathroom, small fridge and tea and coffee making facilities. 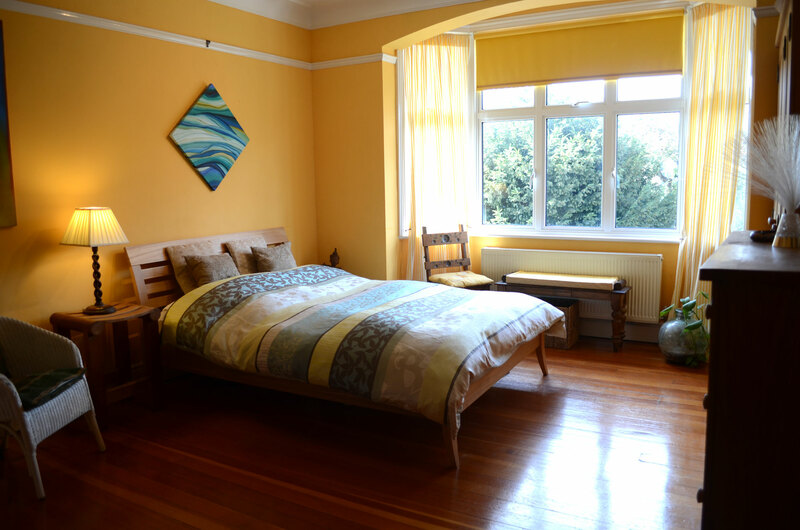 This house is located in one of the roads off Wimbledon Park Road, convenient both for the Wimbledon Tennis Championships and the underground station at Southfields. 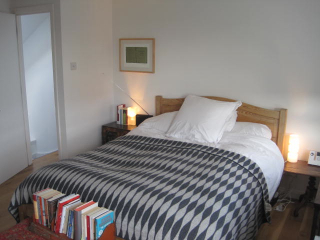 The host offers two single rooms, one with a double bed and one with a single bed. 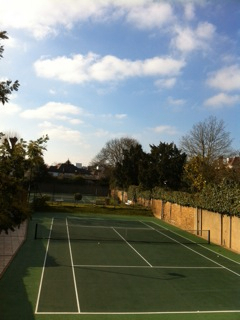 The house backs on to The Gardens Tennis Club. Breakfast is served in the family kitchen. This family home is located less than 10 minutes walk from Southfields underground station and about 20 minutes from the tennis. 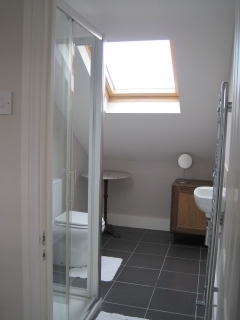 The host offers a twin room at the top of the house with own shower room next to the room. Breakfast is served in a large breakfast room. Two family cats live at this house. 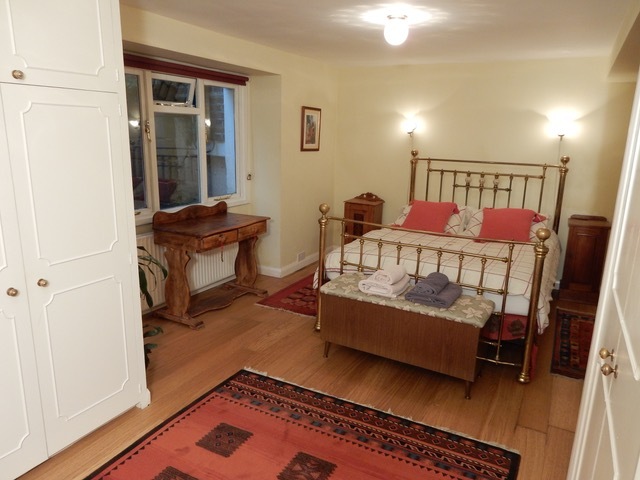 This house is 10 minutes walk from Southfields underground station. 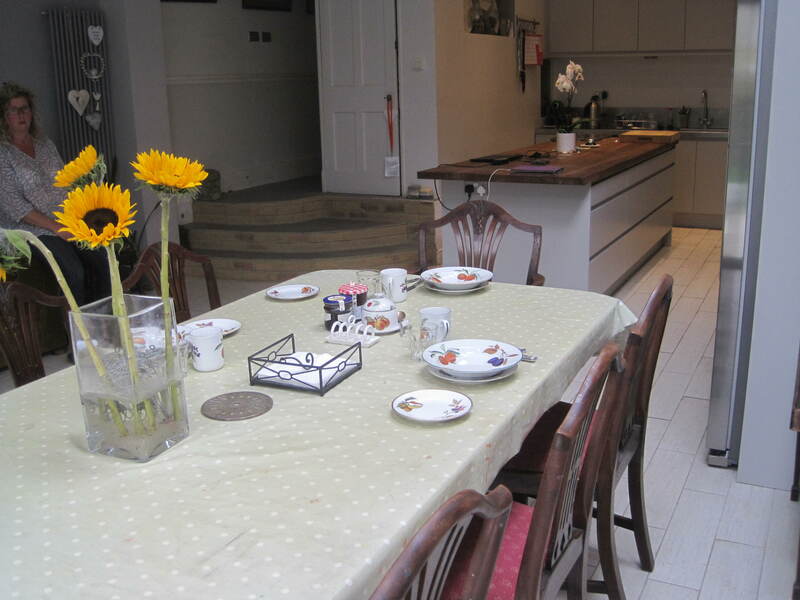 It is a large house with a spacious kitchen and breakfast room where breakfast is served. 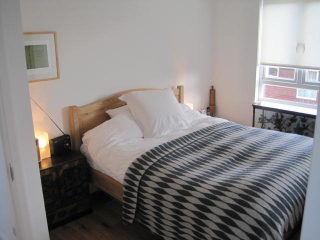 The host offers a double room with double bed and single bed on the second floor with with ensuite shower and steam room. 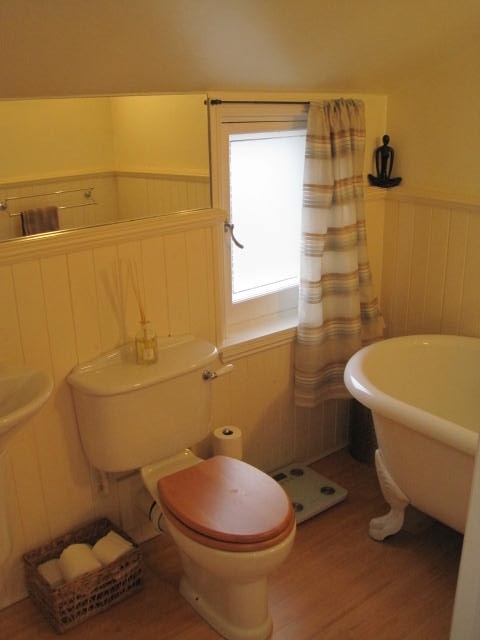 There is also a single room with own use of bathroom. A friendly dog lives at this home. 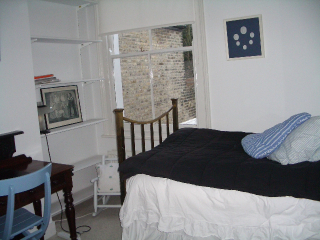 This house is about 5 minutes walk from Southfields underground station. It is a deceptively large house having been extended to give the maximum amount of space. 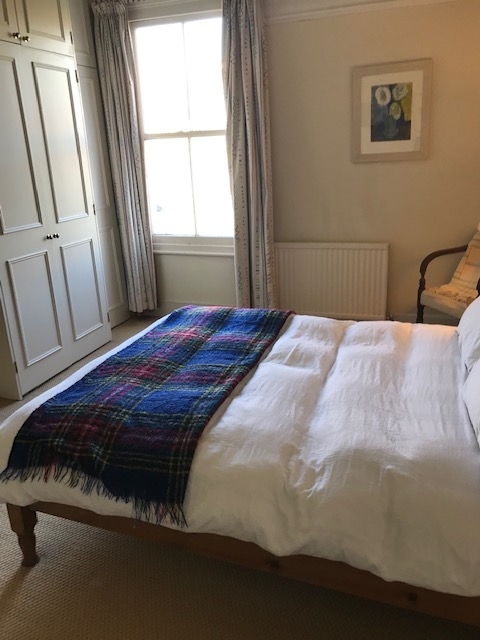 The host offers a double room on the first floor with bathroom next to the room Breakfast is served in a large kitchen/breakfast room overlooking the garden. A cat lives at this home. 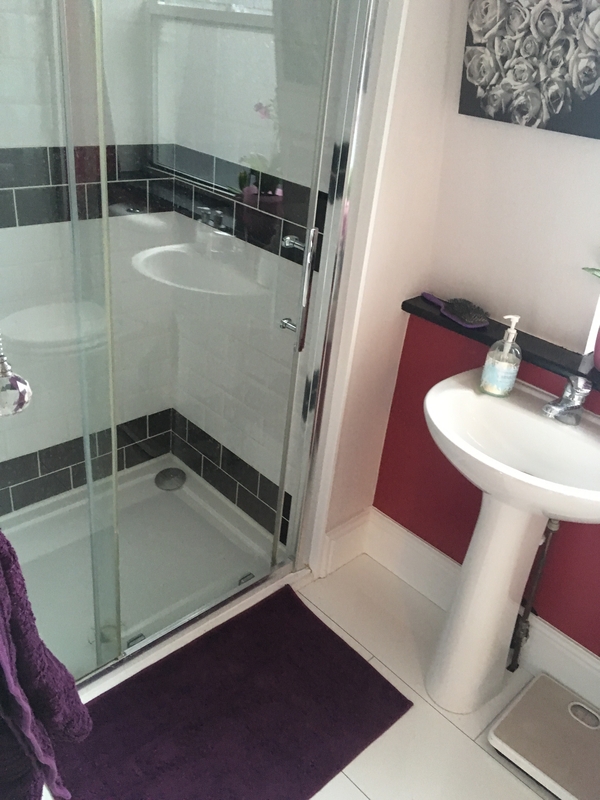 This modern town house is situated within 10 minutes walk of the tennis but still quite secluded and in a quiet location. 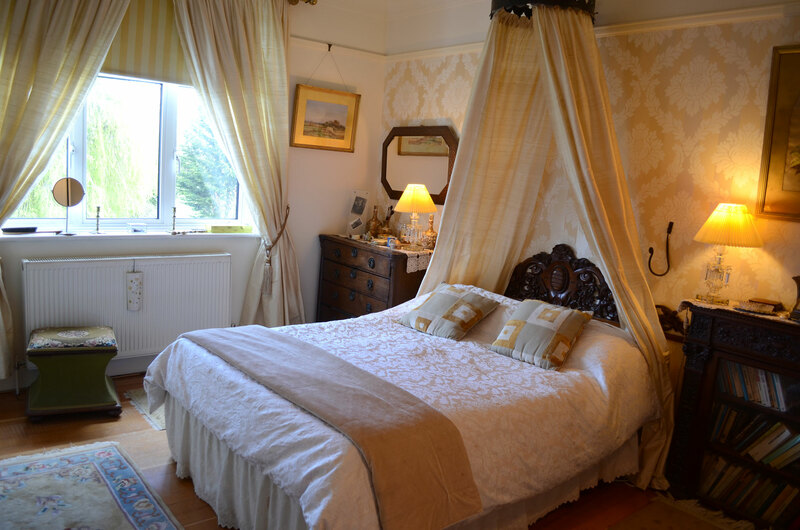 The host offers a king-size double room with ensuite bathroom and shower. 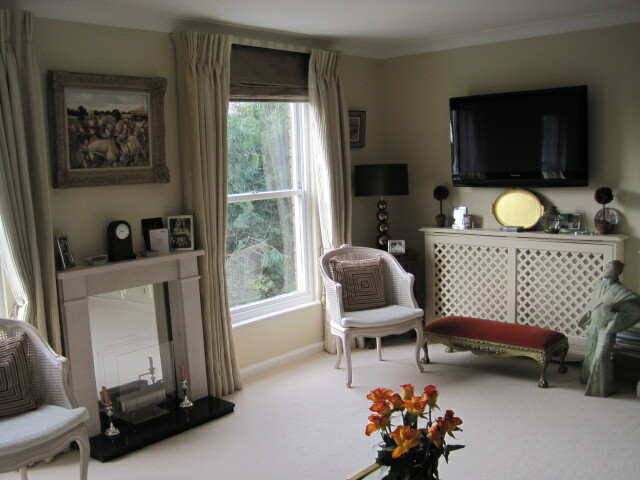 Guests have use of a very pretty sitting room with large TV. Breakfast is served in the breakfast room or if it is fine on a lovely sunny terrace. There is a family cat living in this house. Set back from Pirbright Road this delightful house is ideally located for the tennis and the underground for travel into London. 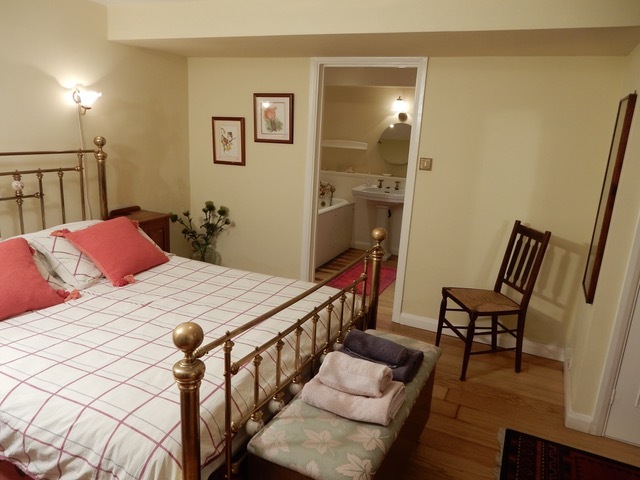 The host has a double room upstairs and a single downstairs both sharing the bathroom. 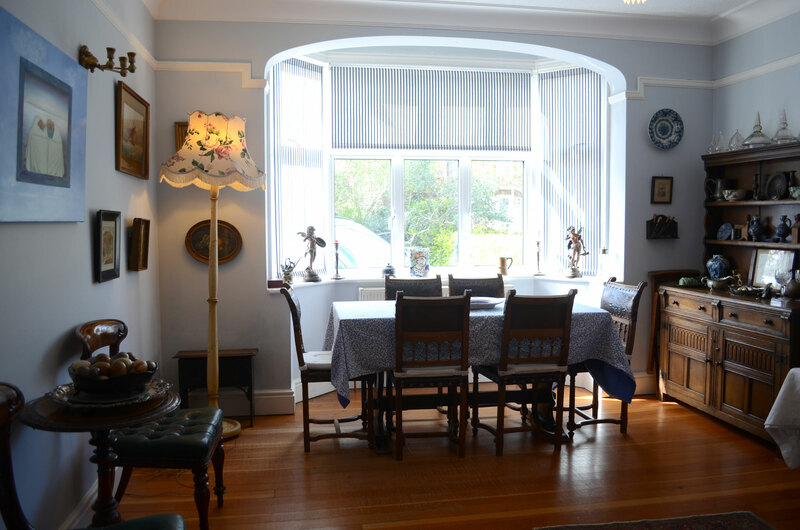 Breakfast is served in a bright sunny sitting room overlooking the garden. 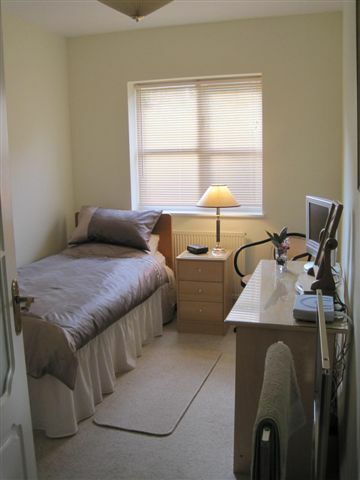 Located in the grid area of Southfields, this house is a short walk across the park to the All England Club. 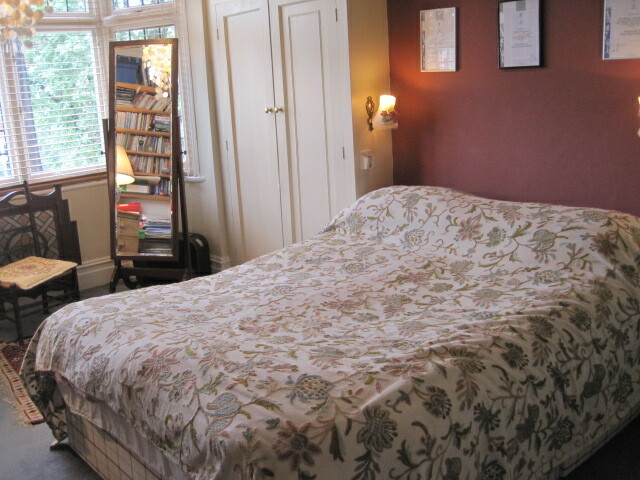 The room has a double bed but is used for single occupancy. The bathroom is for exclusive use. Breakfast is served in the kitchen/breakfast room. There is a family cat. 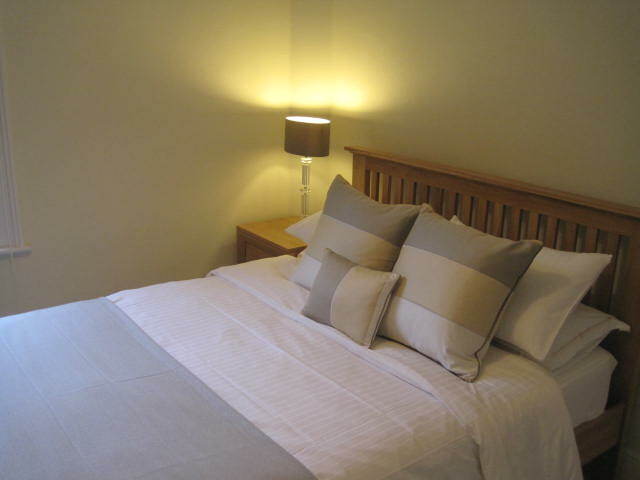 Within 5 minutes walk of Southfields station and 15 minutes from the tennis this is in an ideal location. 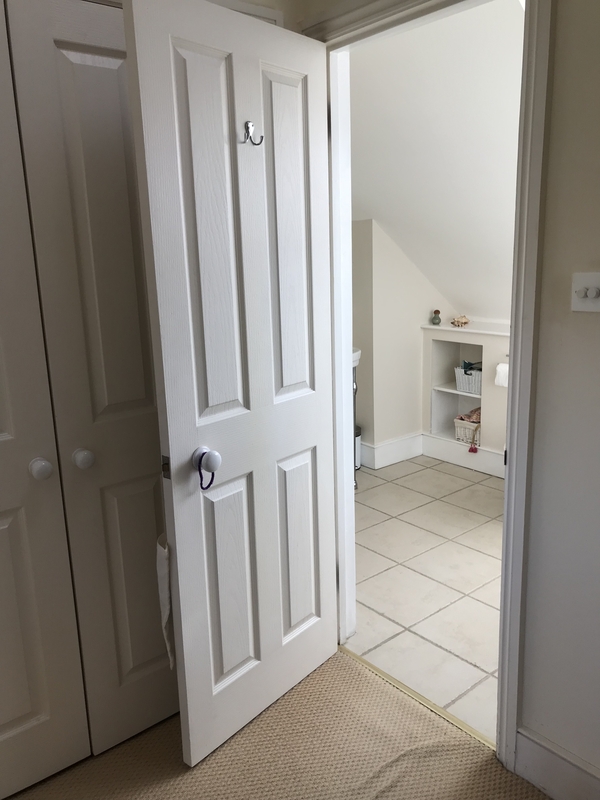 There is a twin room with own use of bathroom. 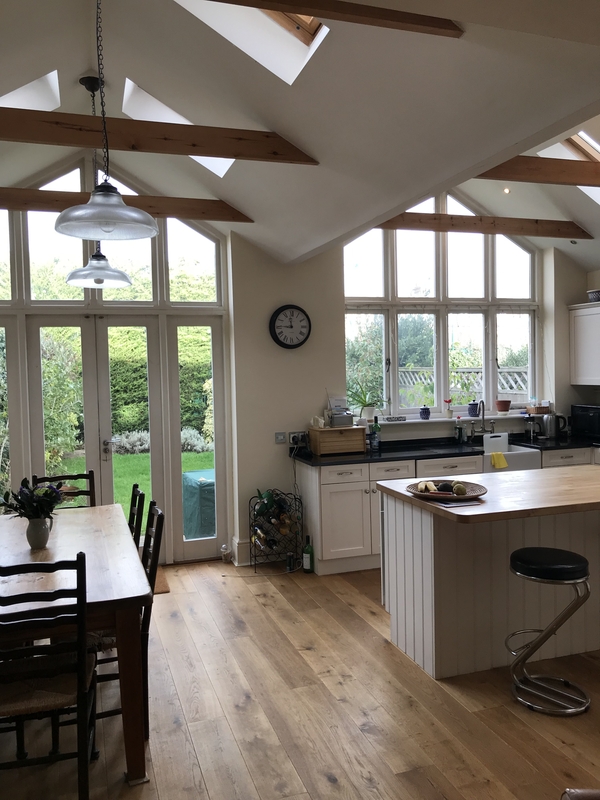 Breakfast is served in a sunny kitchen overlooking the garden. There is a family dog living at this house. 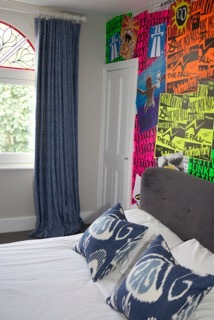 This house is located within 3 minutes walk of Southfields Underground and 15 minutes from the AELTC. 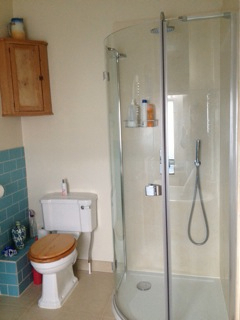 The host offers a large double room with ensuite shower. 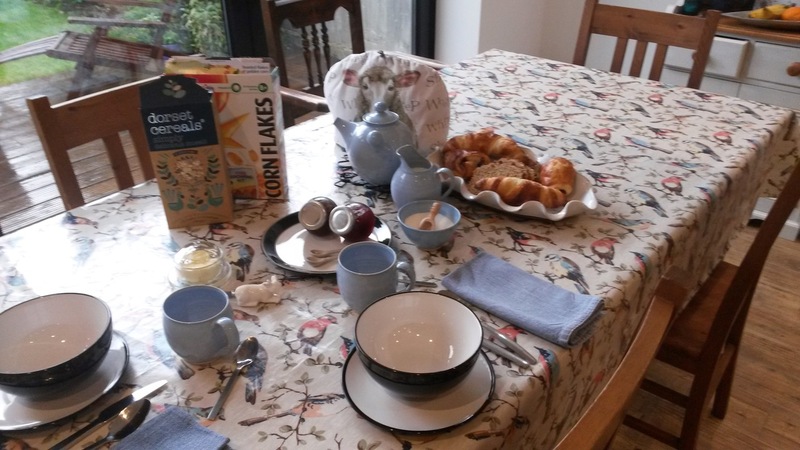 A continental breakfast is served in the family kitchen. 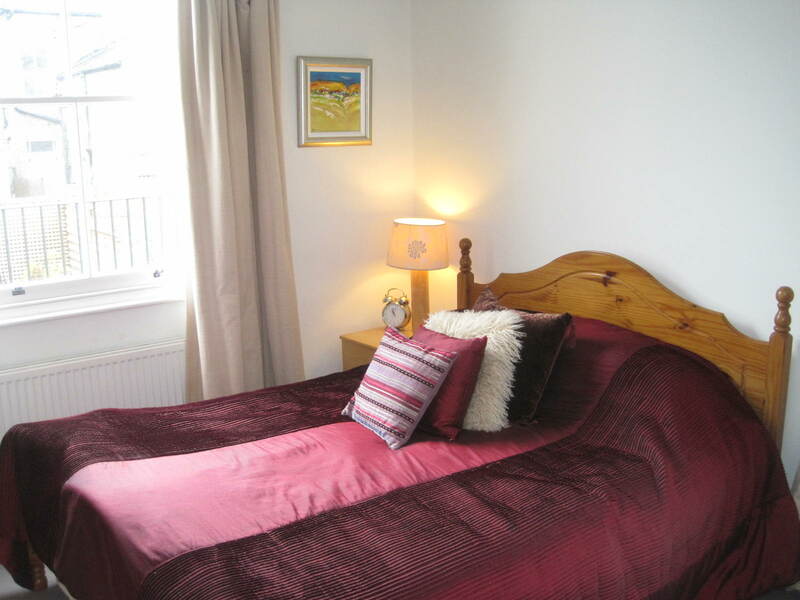 This house is located within 10 minutes walk of the tennis. 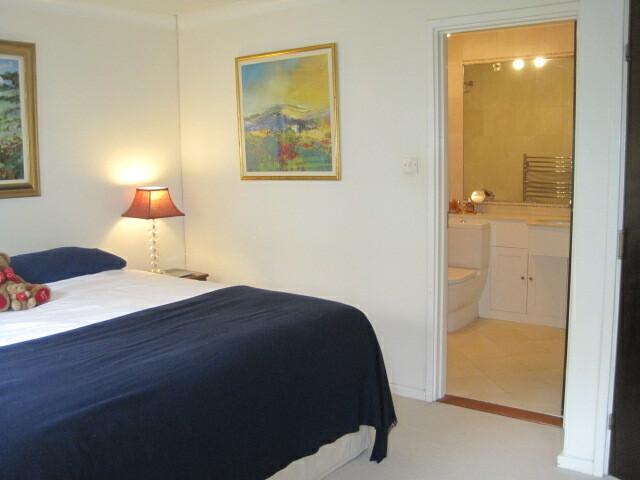 The host offers a large twin room with basin and bathroom next to the room. There is also a fridge and tea and coffee in the room. Breakfast is served in the dining room. The host has a family dog.